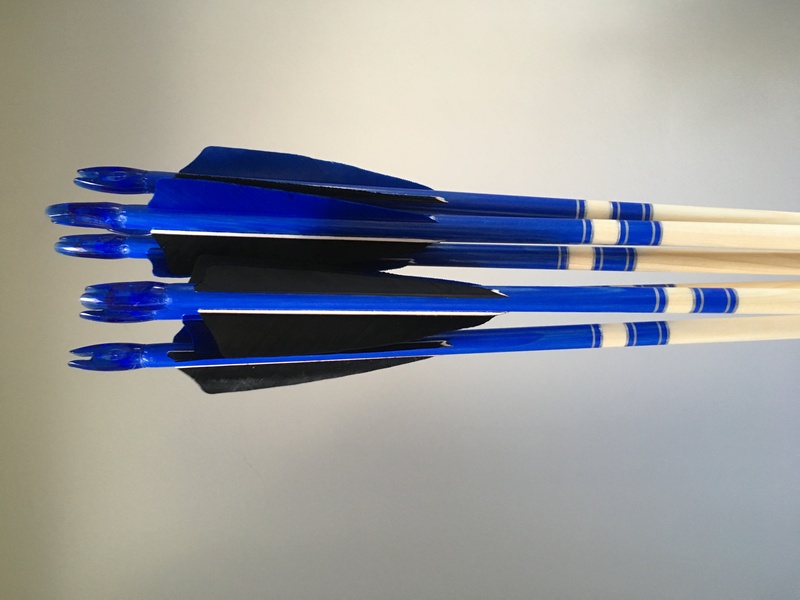 A set of 6 spruce wood arrows with a spare painted, nocked and fletched shaft. Blue crown painted, with simple silver cresting. Will be posted Royal Mail First Class Signed For the next working day after receipt of payment (or the same day if paid by 10am). 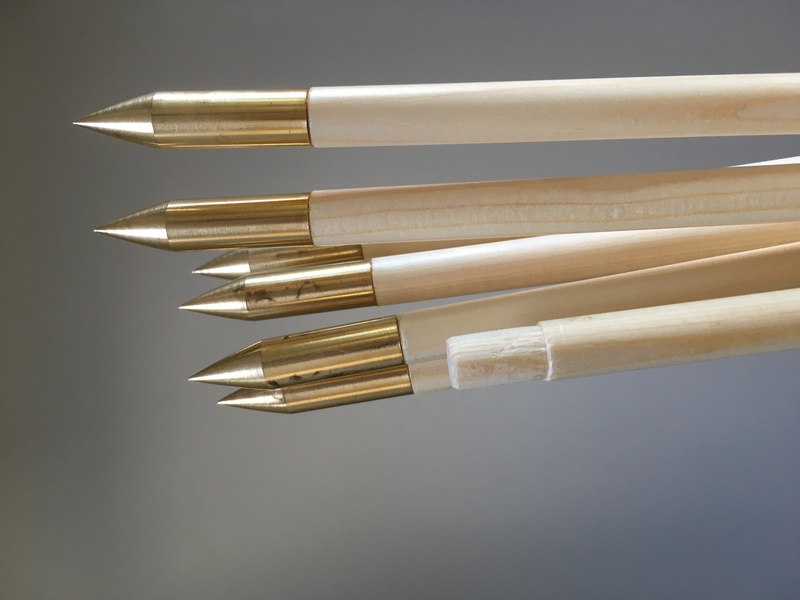 They’ve been sanded and finished with a clear gloss outdoor acrylic varnish. 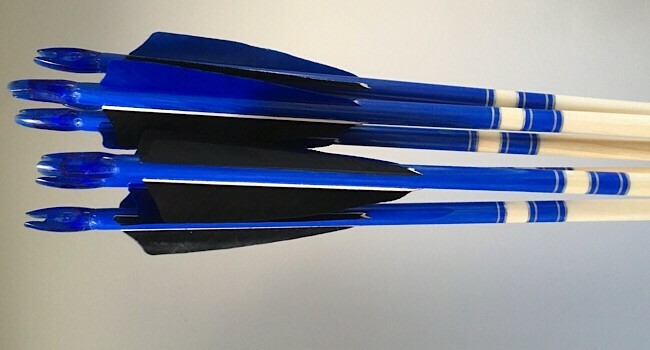 There is a little more grain run off with this set than is preferable, but they will still shoot well. 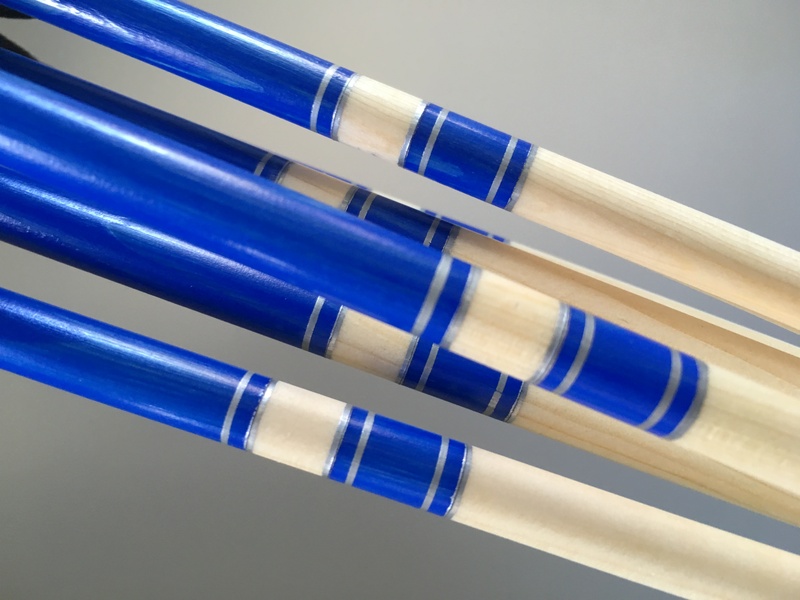 Length: Just over 29.5” from back of point to base of nock. 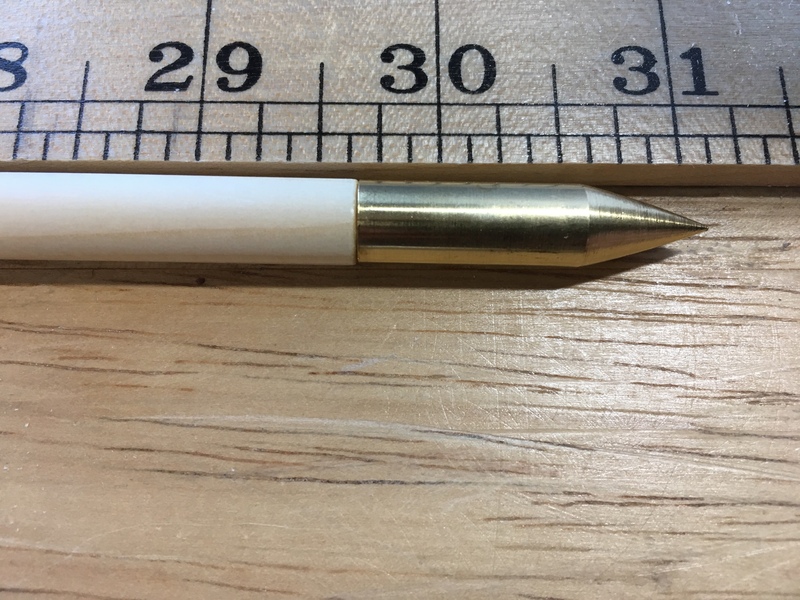 Point: 125 grain parallel fit brass bullet point (suitable for all types of archery). 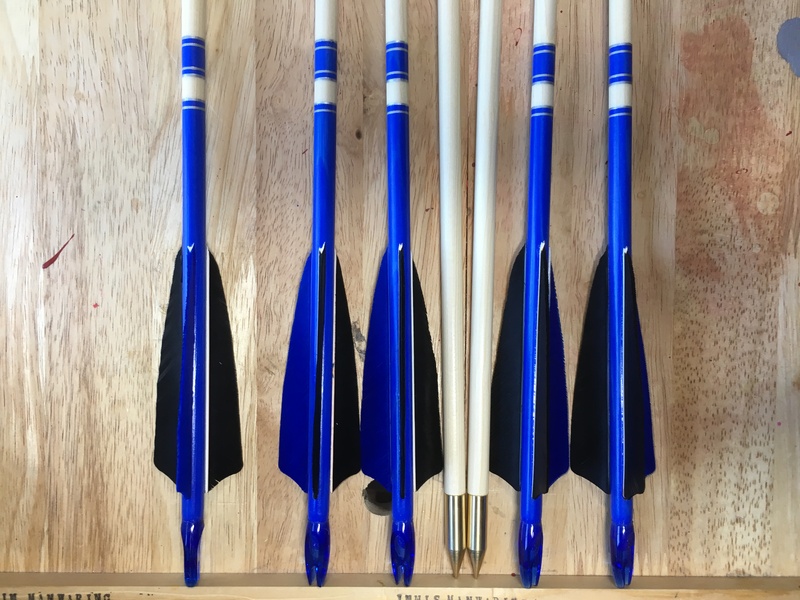 This set fall well within our range for good ‘club’ arrows. 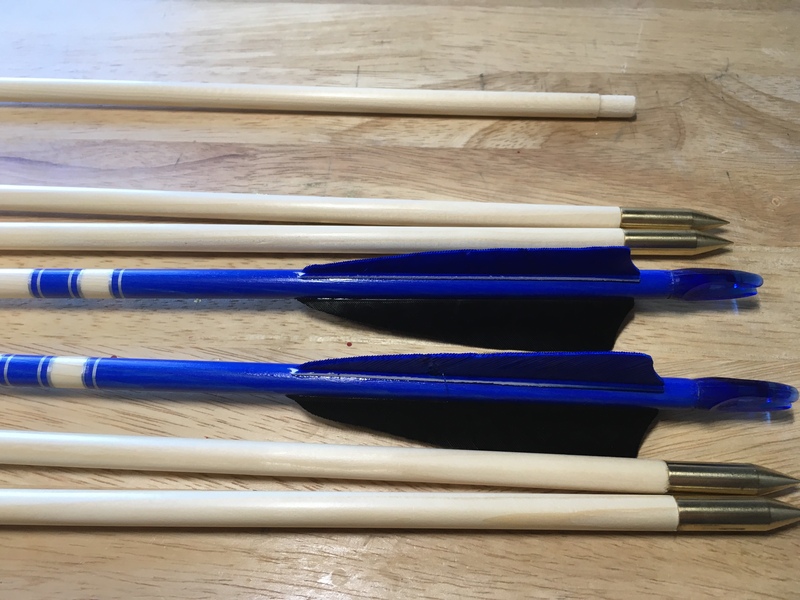 These arrows would be suitable for traditional longbows drawn to around 50lbs. 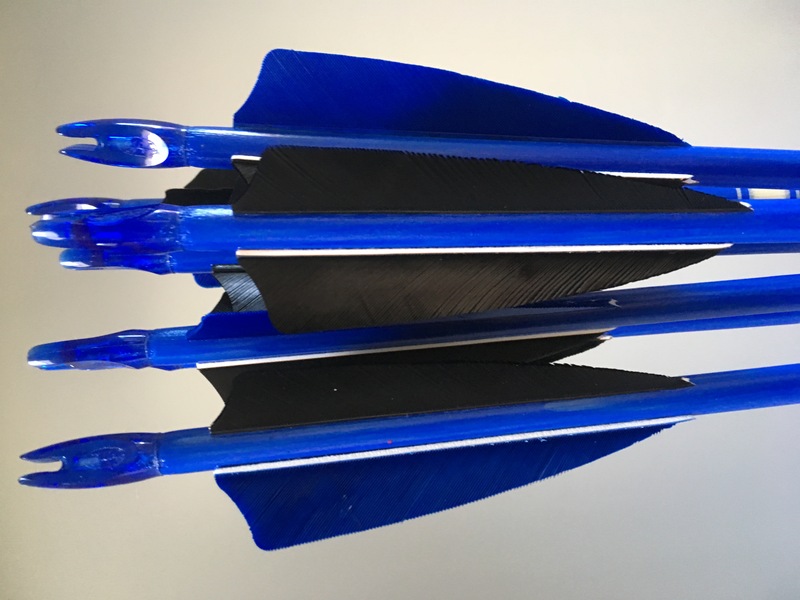 If you’re unsure of the suitability of these arrows for your bow, please message us.